The ideal soil texture is a loamy soil that is a balanced mixture of sand, silt, and clay particles. Andrew Jeffers © 2017 Clemson Extension. The soil is often referred to as the “foundation of life”. The foundation must strong and healthy before great things can be developed. Most garden and landscape soils have poor soil texture and often lack organic matter, one of the most important additions any gardener can make. The soil is a medium comprised of mineral elements, soil particles, water, and living organisms, all of which are important to the overall health of the soil. The three primary soil particles are sand, silt, and clay. The relative percentages of these components present make up the soil’s texture. Texture is important to overall soil and plant health as it relates to soil porosity space, the pore spaces where air and water reside. The ideal soil texture is balanced mix of sand, silt, and clay particles, also known as a loamy soil. 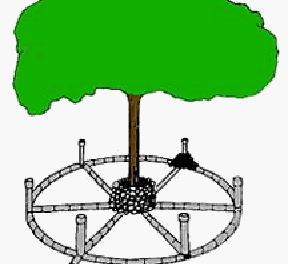 In most cases the particles will not be balanced and the soil will need to be altered by adding amendments. To evaluate soil texture, use a simple jar test to determine the percentages of sand silt, and clay. For more information on the soil jar test, check out this video at the Clemson Extension Virtual Raingarden https://www.clemson.edu/extension/raingarden/virtual_rain_garden.html. Myth #1: Use sand alone to improve soil drainage. Truth: However, clay particles are very fine and layered in sheets (similar to a stack of un-neatly stacked paper) making it difficult for water to pass through these particles readily. Sand that is worked into clay provides a surface for these clay particles to adhere to. The result is a concrete like mixture that is more difficult to work than clay itself. Clay soils particles are very fine, and stacked together similar to un-neatly stacked sheets of paper. Myth #2: Another recommendation to break up clay and reduce soil compaction is to add gypsum. Truth: The structural improvement effects of gypsum are often short-lived and need to be repeated from year to year. Tillage and aeration are the two surest ways to reduce compaction in the soil. Sandy soils are much different than clay soils. Sandy soils tend to not hold on to plant nutrients very well. The goal of amending this soil type is into increase the nutrient holding capacity. Incorporating compost will help add additional binding sites for plant nutrients to be held. Caution must still be exercised, because sandy soils can still leach out great amounts of nutrients. Adding fertilizer in small, frequent applications can help reduce the amount of leaching nutrients. In addition to helping loosen heavily compacted soils and improve overall soil health, adding organic matter is a good way to improve both clay and sandy soils. Aside from improving soil texture, adding organic matter can have other benefits as well. One of which is the addition of beneficial soil microbes, such as fungi and bacteria. These microbes help with plant nutrient uptake by making nutrients more available for root uptake. Sand that is worked into clay provides a surface for these clay particles to adhere to. The result is a concrete like mixture that is more difficult to work than clay itself. Several sources of organic matter are available. Fresh sources tend to decompose rapidly, generally within 30 days, providing readily available sources of nutrients for microorganisms in the soil. The remaining compounds are more resistant to breakdown by these microorganisms. Composted materials have completed most of the rapid decomposition process in the compost pile. Therefore, the supplied organic matter tends to last longer in soil than fresh sources. The caveat is that composted materials do not provide microorganisms a long-term supply of usable compounds. However, properly composted materials (meaning the pile’s internal temperature has reached a consistent 140 °F) do have the benefit of being less likely to have weed seeds and pathogens. One of the most readily available sources of organic matter to home gardeners is leaves from deciduous trees, also known as leaf mulch, or leaf mold (partially decomposed leaves). Leaf mulch offers not only organic matter, but also the addition of essential plant nutrients such as potassium (K), calcium (Ca), phosphorus (P), magnesium (Mg), and boron (B). Leaves can either be composted, added directly into the soil, or turned into leaf mold. To make leaf mold, leaves they should be placed in a pile in the fall, and the turned several times in March and April. The leaf mold can then be added to vegetable gardens and landscape beds after the soil has been warmed. Direct incorporation of leaves is usually reserved for vegetable garden beds or newly constructed landscape beds. Decomposition of the leaves can be hastened by shredding and bagging the leaves with a lawn mower, or using a tiller for direct incorporation into the soil. Manures have long been used successfully as soil amendments. These amendments not only supply organic matter, but also supply essential elements like nitrogen (N), phosphorus (P), and potassium (K). Fresh manures tend to be high in ammonia, and need to be composted prior to application. Also, due to human health risks, fresh manures should only be applied to vegetables with edible parts not in direct contact with the soil at least 90 days prior to harvest, and at least 120 days for those with edible parts with direct contact to the soil. The source of the manure should also be carefully considered. Some manures can potentially be contaminated with trace amounts of herbicides, which can be potentially lethal to desired plants. Caution should be observed with composted manures since the composting process can concentrate salts. A simple fix is to add gypsum (calcium sulfate), at a rate of a half-pound to one pound per cubic yard, to chemically replace sodium ions in the soil with calcium ions. This will allow the sodium ions to be leached out. Another trick is dilute the composted manure with garden compost. A mixture of 3 parts compost to ½ – 1 part composted manure will be enough dilution to ensure no plant injury. Whether homemade or store bought, compost is one of the most common ways to add organic matter to soils. Often referred to as (and sold as) “garden compost”, it is usually a combination of grass clippings, leaves, brush, tree and shrub trimmings, or other plant materials that have been composted for 3 to 9 months. These piles should reach an internal temperature of 140 °F. The high temperature will kill most weed seeds and pathogens. Compost is typically rich in organic matter and contains low amounts of nitrogen (N), phosphorus (P), and potassium (K), with a pH of 6 or 7. When producing compost on site, care must be taken to ensure proper aeration and moisture levels are being consistently maintained. 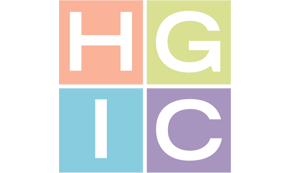 For more information on troubleshooting compost piles, see HGIC 1600, Composting. Mushroom compost is a combination of manures, cotton seed meal, and other organic amendments. This compost is actually the spent compost used to grow mushrooms. While this compost tends to offer rich organic matter and similar nutrient levels to chicken manure, it does tend to have higher soluble salts. Therefore, it will need to be diluted with other materials, similar to manures. Mulching landscape beds and vegetable gardens is a good way to consistently add organic matter in addition to weed suppression. The term “mulch” is defined as a layer of material, usually organic in nature, applied to the soil surface. Common mulch materials are shredded pine or hardwood bark, pine straw, and straw. These materials break down and provide a natural layer of organic matter to the soil surface like the natural soil profile found in natural organically rich soils, such as forests. Bark products, such as finely shredded bark mulch is sometimes sold as a “soil conditioner”. This material is meant to be incorporated into the soil to add organic matter deeper in the soil and help loosen compacted soils. These products are excellent for adding organic matter to both clay and sandy soils. Soil amendments are most commonly used in vegetable gardens and landscape beds. 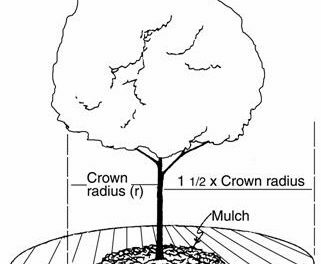 It is important to evaluate various types of soil amendments and determine which ones will provide the most benefit. This often leads to a combination of different amendments to supply organic matter, nutrients, and improve the soil texture. There are many combinations but a good general-purpose ratio is one part composted manure, to three parts garden compost to one part soil conditioner. This amendment mixture can then be tilled in prior to planting. The addition of organic matter is beneficial but too much can be detrimental to plant health. Start with adding 25% by volume or 2 inches of organic matter into the top 6 inches of the soil. CAUTION: Incorporating more than 50% organic matter into the soil may negatively affect plant growth. This amendment mixture can also be used as a top dressing for tree, shrub, herbaceous ornamental, and vegetable plantings. The same mixture can also be used in turf areas such as for bare spot repair or incorporation for turf establishment. For raised garden beds, the mixture can be incorporated with native soils.